Our level 3 Public and Uniformed Services students were officially crowned this year’s winners and national champions of the Army Reserves, College Cup 2019, after being put through their paces during a series of challenging military activities. The College Cup is hosted by the British Army’s 37th Signal Regiment at Swynnerton Training Camp, where a number of Colleges from across the UK compete against each other in a series of military-style activities. 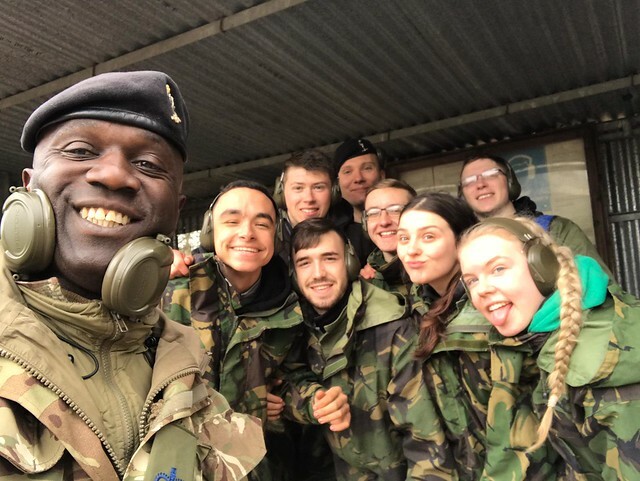 The competition is designed to give students an insight into the Army Reserves, as well as exposing them to team building experiences that will supplement their studies. During the day, the students were scored across eight activities, including battlefield communications, field crafts, practical leadership, physical training, weapon training and dismounted close combat training. Why study Public and Uniformed Services with us? Strong employer links with uniformed and non-uniformed services. We are a leading Northwest recruiter for the Royal Air Force (Platinum Partnership Award). Support and preparation for your next stage interview and fitness tests. Special guest speakers such as the Royal Marines, Fire Service and Police Officers. Develop your teamworking, navigation and communications skills. Build your strength, endurance and fitness levels in our gym, exercise studio and sports hall.